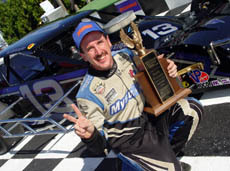 NDS Motorsports announced today that Ted Christopher will be piloting the Team's Ford Taurus's for the 2005 race season, filling the seat recently vacated by Brad Leighton. Team owner Bob Torriere added "I was disappointed when Brad chose to return to the Grizco team but understand that Brad has a special personal relationship with Steve Griswold and realized he would eventually want to return "home", I am confident that Ted will be as great a fit with the team as Brad was. I really like Brad and will always consider him a friend." The #35 car has been driven part time by Brad Leighton in the past two seasons. With the departure of Leighton, the team embarked on an exhaustive search to identify the right driver and after careful consideration chose Ted Christopher. Ted has extensive expertise in the Busch North Series with only seventy-four starts racking up an impressive record of eight wins and four poles. The team plans to compete in up to eight select events, which do not conflict with Ted's full time Whelen Modified series competition. Ted said "This team won 4 out of 12 races in the last 2 years; those are pretty impressive statistics and they definitely have what it takes to put me in victory lane. I'm looking forward to working with these guys and have always wanted to drive a car prepared by Steve Hibbard". The team will continue to run from the existing Montpelier, Vermont shop, as all key crewmembers are returning with the only changes to NDS Motorsports in 2005 being the driver and sponsor, as last year's sponsor has chosen to move with Brad Leighton. Team Manager Steve Hibbard said "I'm excited to be working with a driver who has as great a feel for a race car as Ted Christopher does, this is a big plus. I am disappointed that the sponsor and driver did not stay with our team, obviously I thought we did well for both of them ". 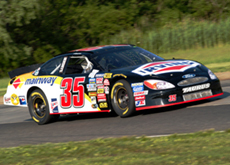 The team is currently searching to secure sponsorship for the 2005 effort, and is targeting the April 21st NASCAR Grand National Division, West Series race in Phoenix as a kick off event. TC is no stranger to winning in a Modified or Busch North car.